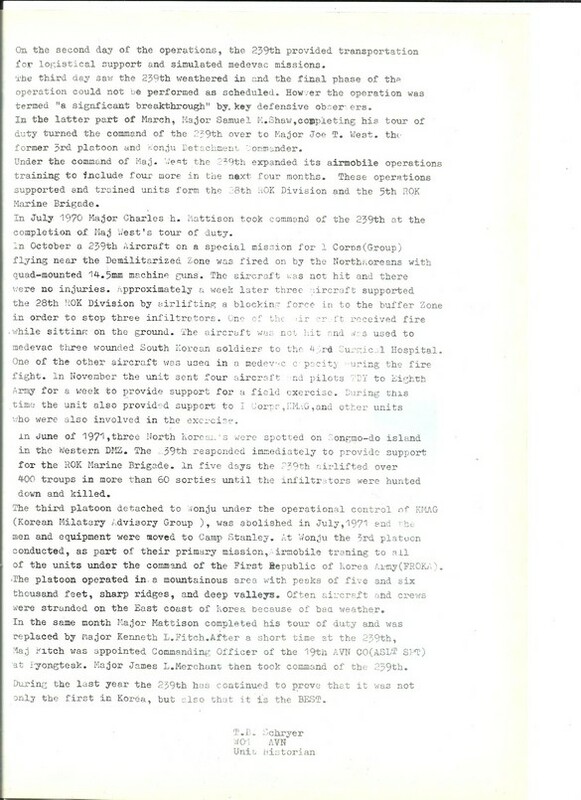 These records are from Ed Willey, former Huey crew chief, who also provided the information and pictures for our “MIG on the Beach” report: click here for that. 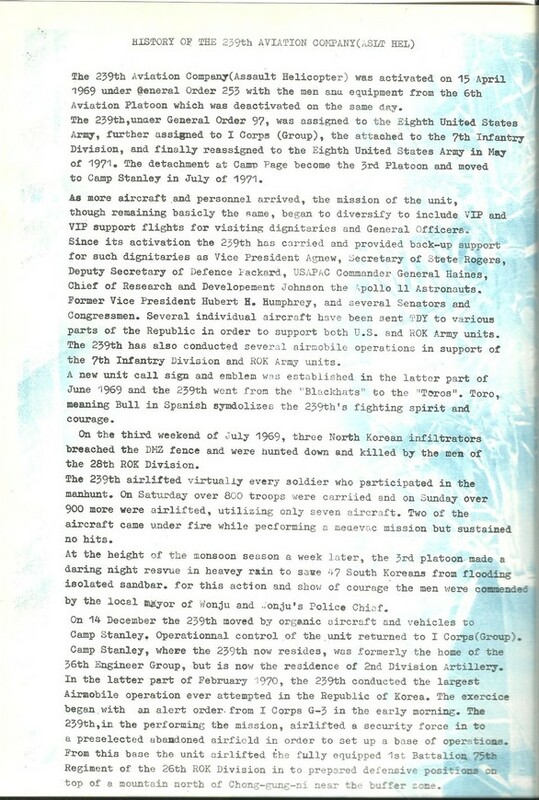 This history of the Army’s 239th Assault Helicopter Company describes three significant incidents between 1969-71 when U.S. Huey transport helicopters supported combat operations in or near the DMZ, including two in which the American ships were fired upon, once by North Korean quad machine guns. 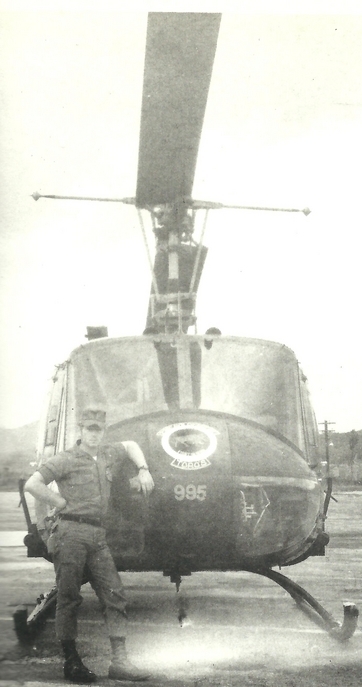 Willey, still a teenager, was assigned to the 239th Assault Helicopter Company and detached to KMAG (Korean Military Advisory Group), supporting the ROK military. 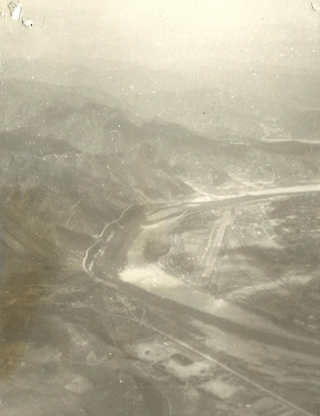 His missions included DMZ patrol, VIP support and troop supply and transport. 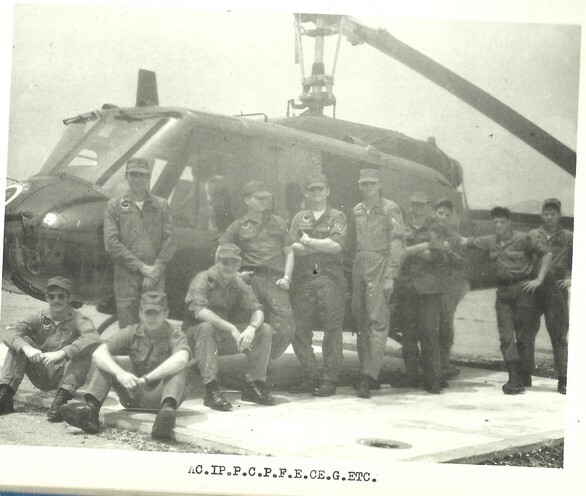 “There would be times we would fly by coordinate’s only and into an open field and set down, then out of the tree line a platoon of ROK soldiers would appear and we would transport them,” he remembers. Most of these operations involved North Korean infiltrators. 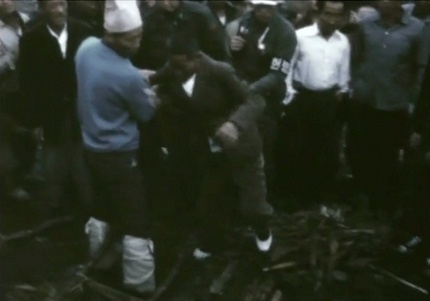 [for pictures of a deadly 1968 ROK operation, supported by U.S. helicopters, against infiltrators see the home page, www.dmzwar.com] In October 1970, he and his crew were trapped at a location due to random fire from the DMZ. “No hits, no casualties, But for an 18-year-old kid that thought he dodged the bullet by not getting orders to Viet Nam, it sure ‘woke me the hell up! '” he said, noting he received hazard pay.